Professor David Wilson heads the Celtic Studies program at the University of Toronto, and he’s written two volumes about the life and death of McGee, and his role in creating Canada. 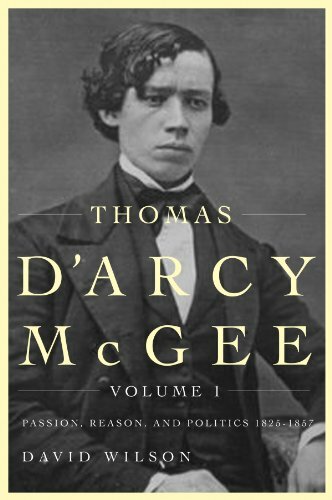 Once a revolutionary republican, ultimately a liberal-conservative father of Confederation, D’arcy McGee was the victim of the first assassination in Canadian history, a martyr to his remarkably modern vision of Canada as a place where different minorities could co-exist harmoniously without losing a sense of Candianism. Professor Wilson’s books are called D’arcy McGee: Passion, Reason and Politics, and D’arcy McGee: The Extreme Moderate.